Antalya real estate reflects the diversity of this vast region. 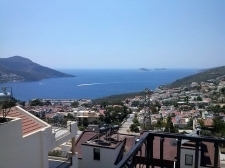 Property in Antalya for sale is well priced to attract overseas buyers from all over the world. Antalya is a large county on Turkish Mediterranean coast, Alanya to the east and Kalkan to its western-most point, where you can find everything from sandy beaches to green mountains, bustling tourist resorts, spice markets, city sophistication and secluded nature spots. Antalya City’s vibrant and youthful atmosphere is a marked contrast to Kemer’s slow-paced, sleepy lifestyle, and further along the coast tourist hot-spot Side is beloved of Brits reveling in the summer fun. Belek is Turkey’s premier golfing destination. Properties in Antalya are some of the best in Turkey for investment and rental as tourism increases exponentially and Antalya City grows in population and wealth. A recent drive by the area’s tourist board has seen the high season extended here, as well as a greater range of visitors visiting the area for arts and sporting events, golf and health tourism. Properties in sunny Antalya are as varied as its geography. Antalya City’s high rise apartments are a great investment and rental opportunity as young professionals head to the city for work. Kemer’s villas offer mountain views and a quiet nature retreat, perfect for family holidays. Side’s properties are well priced and close to the beach, ideal for families on a budget and year-round living. Alanya’s high rise property offers a budget holiday home option. Belek offers the chance to spend your holidays beside some excellent golf courses. Year-round sunshine means Antalya’s a wonderful place to have a permanent place overseas. At the top of the list is Side, where a thriving expat community exists year round.